prior to the Illinois at UNC football game. Deadline to purchase pre-game party tickets is September 12. Hosted by the University of Illinois Alumni Association. Need tickets to the game? 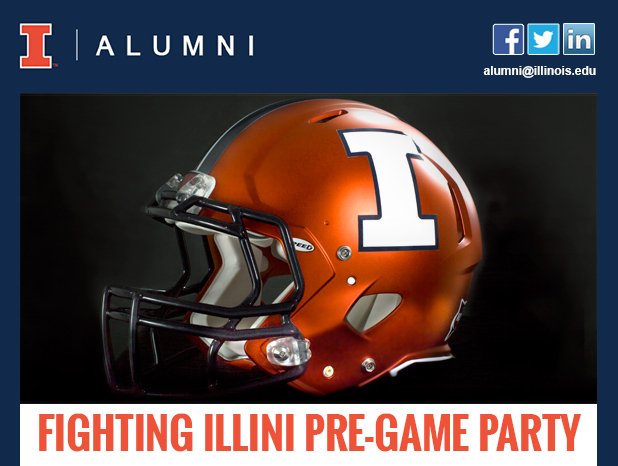 Purchase tickets here using promo code FB15-IL to join the Illini block.